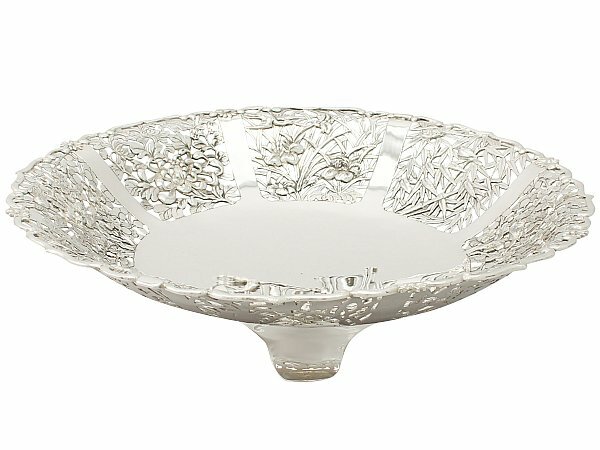 This exceptional antique Chinese export silver (CES) fruit dish has a circular rounded form onto three plain swept bracket style feet. 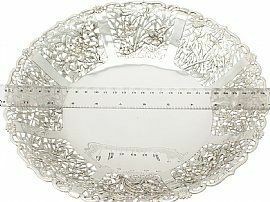 The sides of this antique dish are ornamented with eight pierced decorated panels. 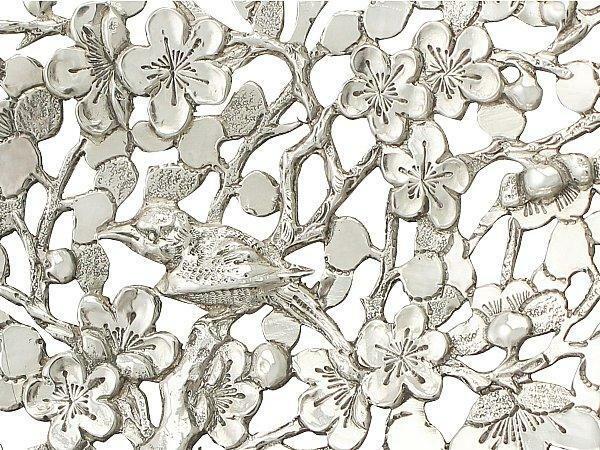 Each panel is embellished with applied decoration depicting individual scenes, such as a bird sitting in a cherry blossom tree, a crane flying over iris flowers, and a chrysanthemum amidst foliage. 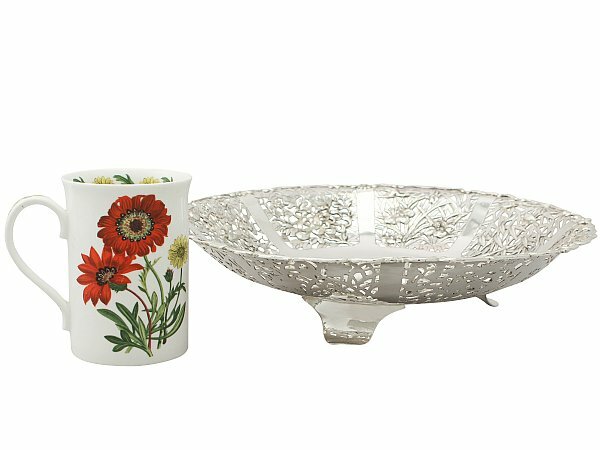 The rim of this impressive dish is encompassed with an applied incurved shaped border. 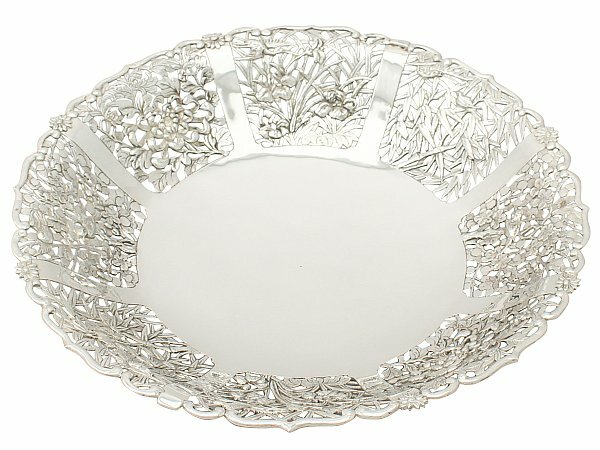 The well of this large antique silver dish is plain and unembellished. 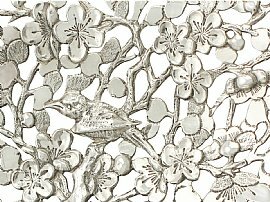 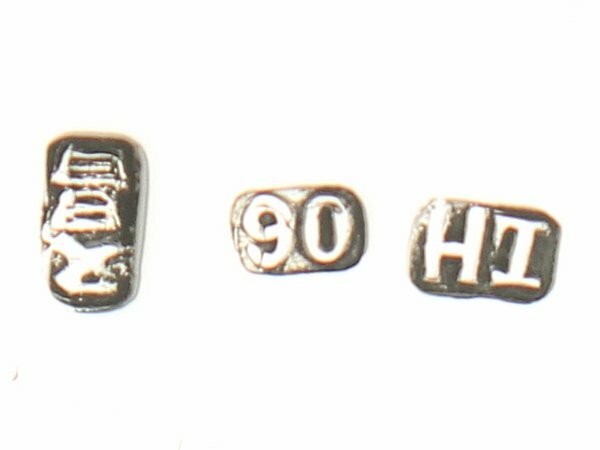 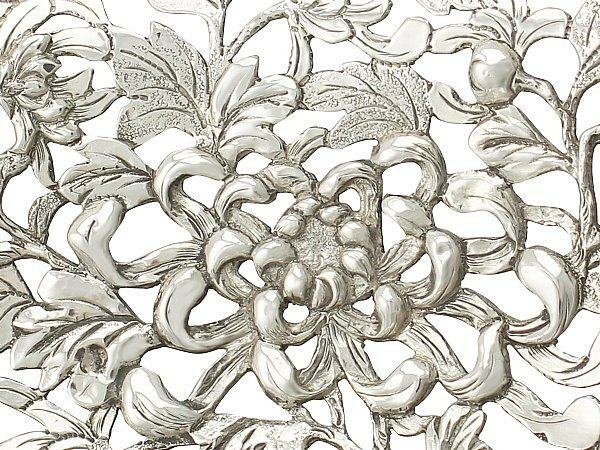 View the full range of Chinese export silver available at AC Silver. 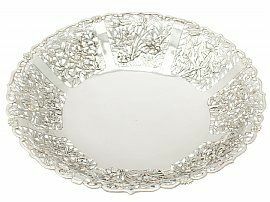 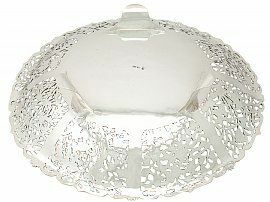 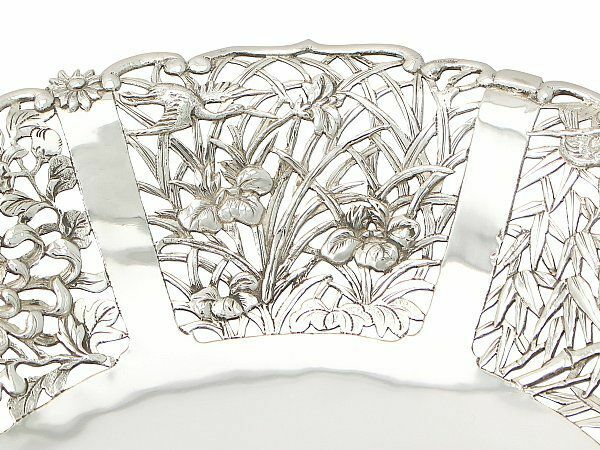 This antique CES fruit dish is a very good gauge of silver, fine quality and in excellent presentation condition. 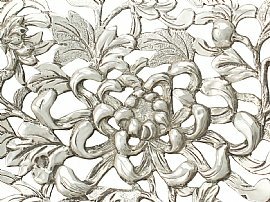 Reflections in photographs may detract from the true representation of this piece of antique Chinese Export Silver.